Making evidence engaging and accessible; ensuring on-target evaluation practices. To search by clinical topic, please visit The Detailing Directory. 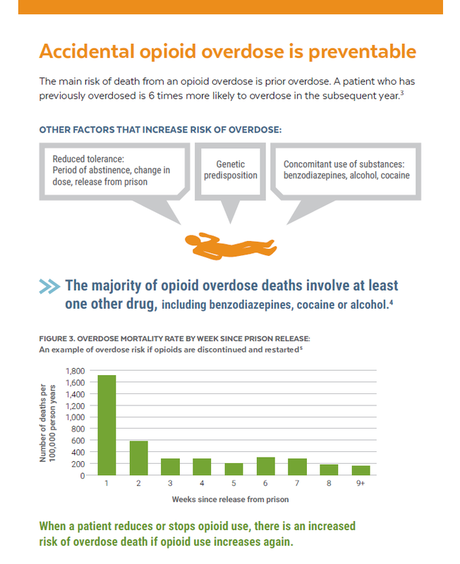 An example from a educational brochure on co-prescribing naloxone to patients who use opioids. Click to learn more. All materials copyright of SFDPH & NaRCAD. Finding ways to make the best evidence visually engaging is part of good 1:1 provider education. ​​Evaluation Summary Report | Idaho Department of Health and Welfare's "AD Outreach Summary"
Back to the main Learning Center.